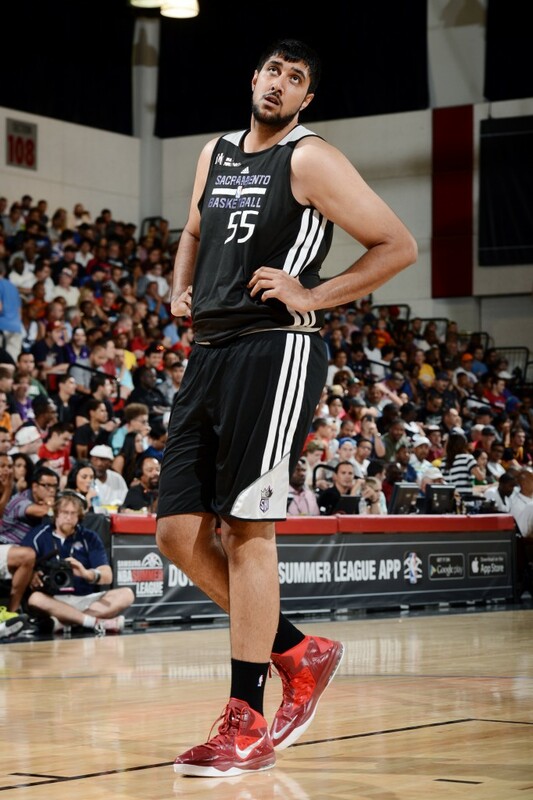 Sim Bhullar in action during a Sacramento Kings v Charlotte Hornets summer league game. Bhullar played only limited minutes. Image credit: NBA Entertainment. Press, Release, SACRAMENTO, CA —- The Sacramento Kings signed center Sim Bhullar to a contract, according to Kings General Manager Pete D’ Alessandro. Per team policy, terms of the deal were not disclosed. Born in Toronto, Ontario, Bhullar becomes the first player of Indian descent to sign with an NBA team. The 7-foot-5, 360-pound center was a member of the Kings squad that captured the 2014 Samsung NBA Summer League title in Las Vegas. Understanding the ultimate power of sports is to connect people across geographic, economic and cultural lines, Ranadivé is focused on making the Sacramento Kings the premier sports franchise of the 21st century. Working with the National Basketball Association (NBA), the Kings have successfully catapulted basketball into the fastest growing sport in India. During the past NBA 2013-14 season, the Kings televised over 20 live games in India, launched a website in Hindi to connect with a rapidly growing Hindi-speaking fan base from around the world, sent the Sacramento Kings players and dancers to Mumbai, and signed the team’s first India-based sponsor.